The Toyota Avanza, a tried and tested MPV out of the reliable Japanese car manufacturer, is known for it’s no-holds barred and reliability in dealing whatever motorists may face on the road. With it’s namesake taken from the Spanish phrase of “get moving,” it’s no wonder that this car will get drivers to their destination in the safest and most efficient way possible. And just like other Toyota cars, the Avanza is designed to withstand both the test of time and driver preferences. With technical specifications at par (and even exceeding) to competitors, and of course, the mentioned road-worthy traits of a reliable MPV, this vehicle is truly an engineering wonder that owners are sure to be proud of. 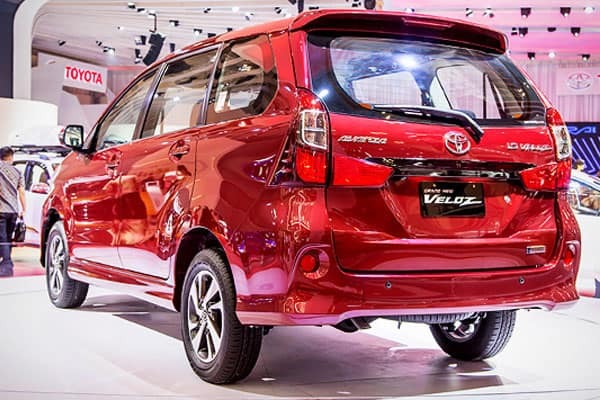 Powered by a Dual VVT-I engine under the hood, the Avanza Veloz brings about the push needed to get things moving. Additionally, the powerhouse this MPV packs isn’t a mess – its quiet demeanor offers a subtle grace that drivers (and even passengers) will surely appreciate, especially during stressful or long drives in heavy traffic. Speaking of the subtle power under the hood, the Toyota Avanza Veloz is also known for its great fuel economy. Integrating an innovative and efficient fuel injection system (electronically-powered), the Veloz makes sure that drivers get their money’s worth when taking the car out for a spin. With 1.3 liter and 1.5 liter fuel capacity options or variants, motorists will surely go the distance without breaking the bank! The Avanza Veloz also comes with the choice of either manual or automatic gear transmissions. Those who opt for the automatic transmission system can expect a maximum or top speed reading of 147 kilometers per hour; manual gearbox transmission system drivers can reach up to 165 kilometers per hour. Rest assured, both options offer exciting and safe drives, mainly with the many safety and engine enhancements enabled in the vehicle. In terms of engine performance or enhancements, the Avanza Veloz definitely does not disappoint. Power readings, when pushing for maximum performance, results to a score of 102 horsepower for the 1.5 liter Veloz variant. The 1.3 liter Avanza Veloz version, on the other hand, also has an outstanding power score of 90 horsepower. And similar to the choice of gear transmissions, the power to choose variants offer motorists convenience and trust in having a vehicle that will truly address their needs or driving preferences. As mentioned earlier, as well, is the safety factors found in the Toyota Avanza Veloz. Built tough (perhaps, among other Toyota cars or models) with a solid frame, the Veloz’ definitely prioritizes passenger safety and convenience. As such, it comes as no surprise that the Veloz is a regular on road safety and motoring safety accolades, such as the ASEAN NCAP (with a high rating of 4 stars!). Also, with the MPV’s focus on safety, it is also no wonder why the Avanza is a trusted vehicle by motorists with families. 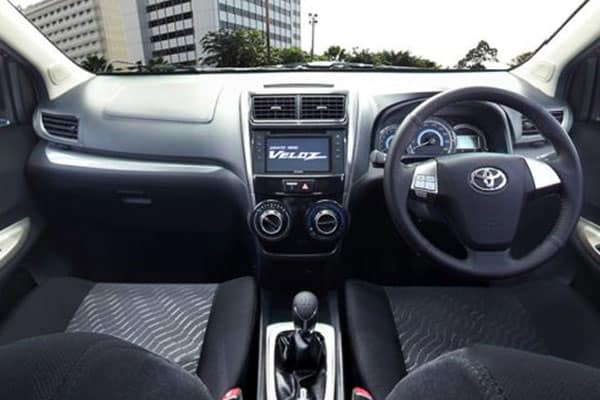 With a family-first approach, several safety features such as an anti-lock braking system (ABS), an anti-theft feature using an electronic engine immobilizer, a protection buckle (pretension), and installed supplementary airbags, the Veloz assures one that their loved ones are in trusted hands. 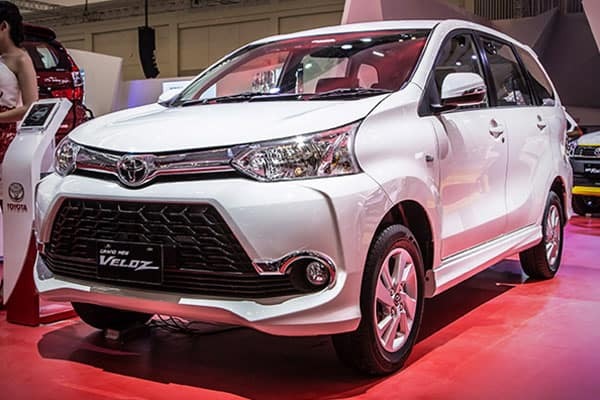 Now here’s where the Veloz stands out from the typical Avanza. 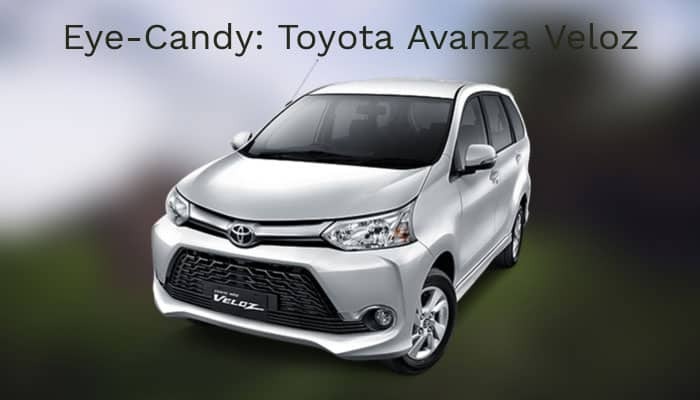 Featuring a stylish and sportier look, the Veloz introduces a welcome and much-needed spin to Avanza lovers. Let’s start from within. The Veloz’ interior, with an already spacious seating capacity, now has a sleeker upholstery finish which brings about a welcome sense of style for the vehicle. Leather seems to be the main theme inside, with the steering wheel and even the shift transmission knob wrapped in class. Infotainment features have also leveled up in the Avanza Veloz. A touchscreen interface offers a treat for tech-savvy motorists. And going with the get moving name, a GPS system is now available for drivers who need to navigate the urban jungle (or literally, the wild). The exterior, of course, is the main dish when it comes to this vehicle’s style upgrades. Coming in different variants (Red Mica Metal, White, Black and Silver Metal theme), the Avanza Veloz will definitely make heads turn when on the road. With an aero grille that both inspires and intimidates, and a sportier take on its bumpers, the Veloz brings about a touch of class to an otherwise rugged look of a typical Avanza. Also, smoke chrome lamps are subtle aesthetic adjustments appreciated when seen by anyone. Truly, this is an upgrade worthy for a reliable MPV. Offering a balance of style and efficiency, drivers with families and even single motorists will appreciate the many surprises in store that the Veloz can deliver. Make sure to visit your nearest dealership for more details on the sporty Toyota Avanza Veloz today.